Well, it is no state secret that I am a Firefox fan. It is definite the best Web Browser. This is such a handy tool for Web developers, especially if you make Themes and Extensions (Add-Ons). You can install it from here. 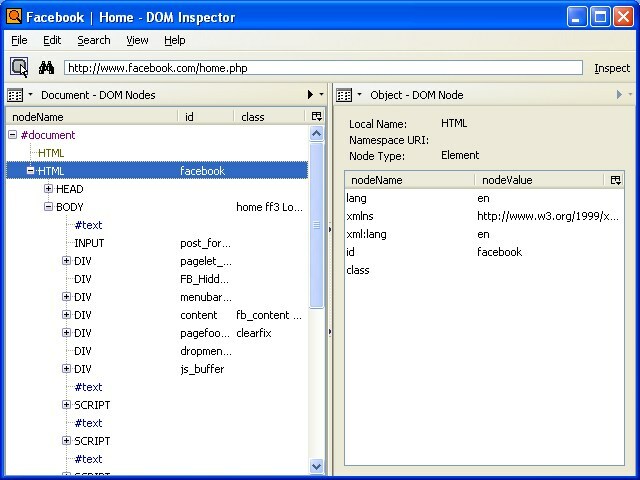 One can inspect in a two page pane the DOM (Document Object Model) of any Web page or XUL (XML User Interface Language – pronounced zool ) window. In other words the structure and the properties of a page or window. This is the API (application programming interface) for valid HTML and well-formed XML documents. In other all the tags,e.g.<html> ,<div>, <script>, etc. So the DOM specifies how XML and HTML documents are represented as objects, which enables us to use them in object oriented programs. 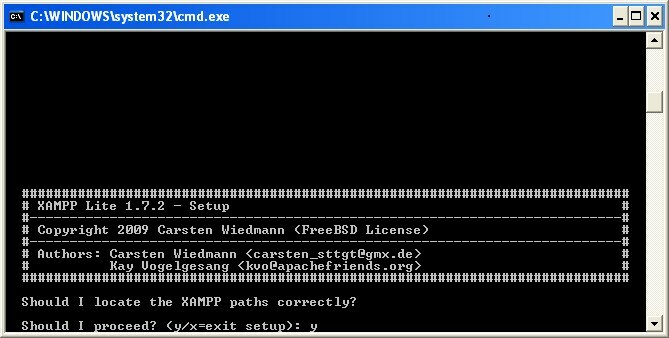 Another Add-On you can also consider is XPather. 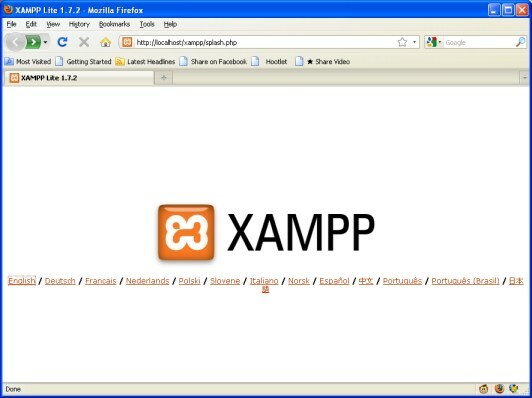 XAMPP lite is a server software and is perfect for testing a website offline, on your computer. 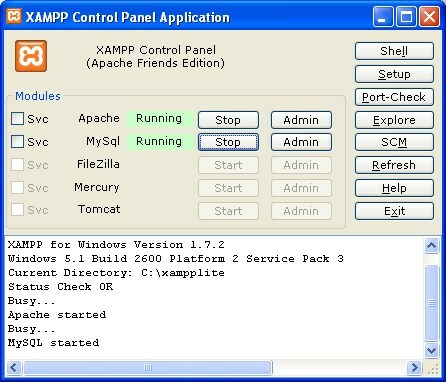 Note: XAMPP is for developers in a development environment. 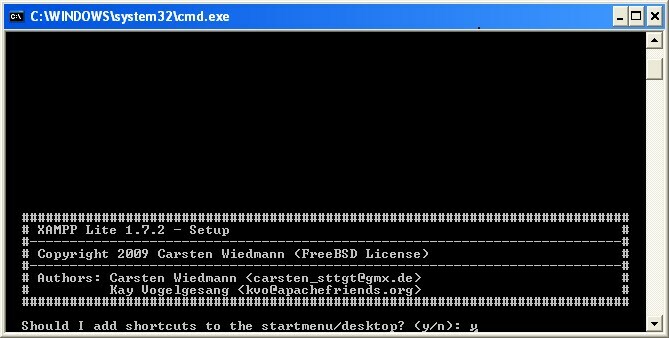 Wait, until the command window opens. Desktop Shortcut: Type y and Press Enter. Proceed: Type y and Press Enter. 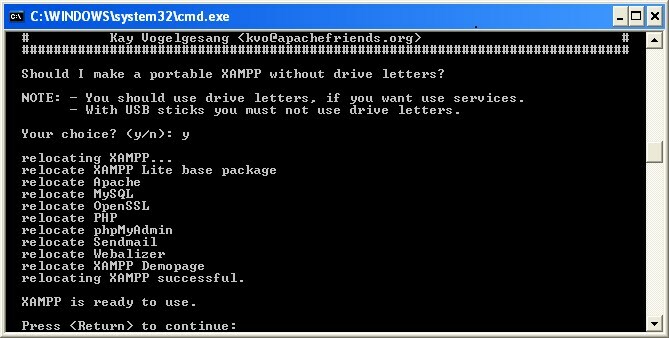 Use Drive Letters: Since this is on a local computer, type y and Press Enter. Type the correct time zone and Press Enter. 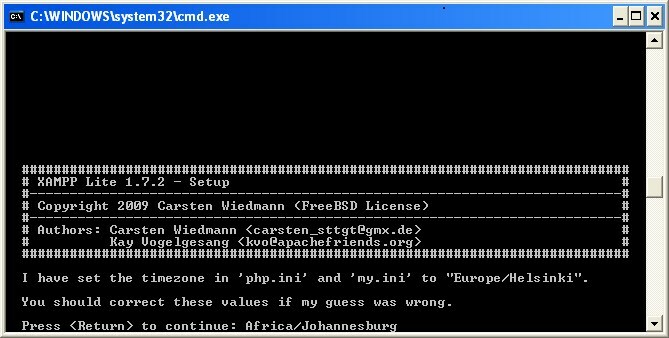 You can view PHP’s List of supported time zones here. 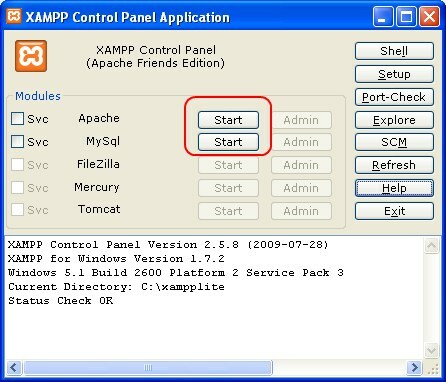 Launch the Control Panel and select Start next to Apache and MySQL. Once launched in your browser, select your preferred language. 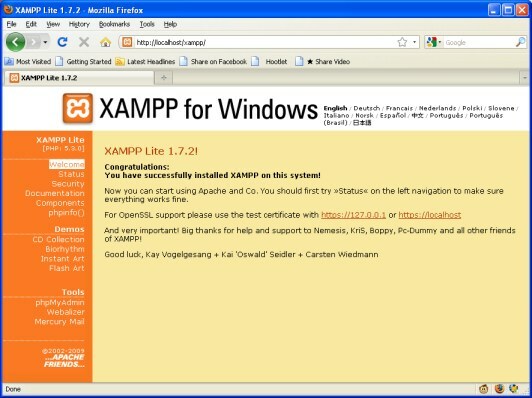 XAMPP is successfully installed on your computer. There are additional settings you can tweak. 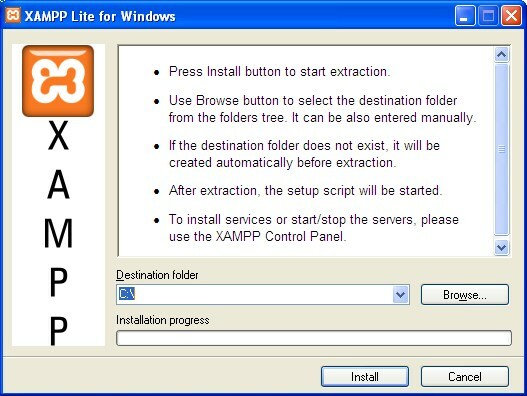 The document directory is "C:\xampplite\htdocs"
Read more about XAMPP for Windows here.